Gabriel Grant thinks he's an ordinary London 13-year old. Then one day he discovers he can do amazing things. Suddenly there are people who want to use him for his powers. What is Gabriel's connection with a monastery in the distant Himalayas? Who is the mysterious Searcher, and can he be trusted? Who - or what - is spying on Gabriel? Why have his parents suddenly disappeared? And what does all this have to do with a visiting circus? In a thrilling adventure based in the heart of London, Gabriel, together with his feisty sister Ariel, eventually finds the answer to many of his questions. Above all: what it means to be a Morphant. 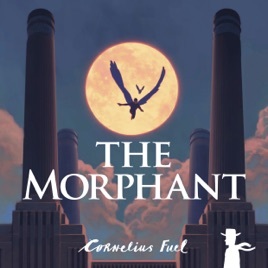 The Morphant is an edge-of-the-seat thriller for 9-12 year olds.